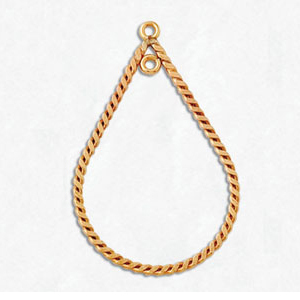 14kt Gold-Filled Earring Component with a single loop inside the top of the ring to attach your creation to! Measures approximately 20mm x 33mm with ring. This component has flattened twisted wires. Price is for one pair (2 pieces). This item has been discontinued by the vendor.